A YouTube video gave me the idea for this one….an online Sherline Mill user had something similiar that allowed objects to be held on the mill table without raising them up high. 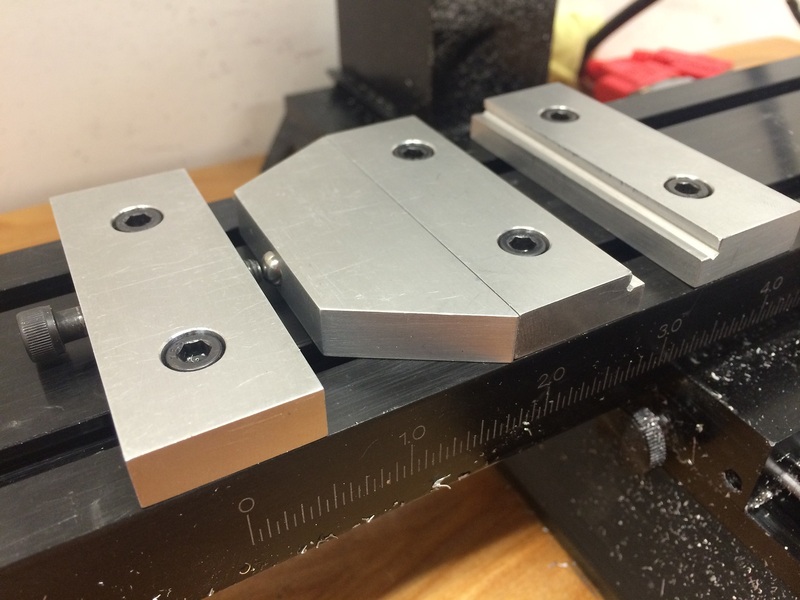 This allows more room for tooling and eliminates having to use larger parallels in a normal sized vise. I milled and counterbored the four pieces from 6061 aluminum. 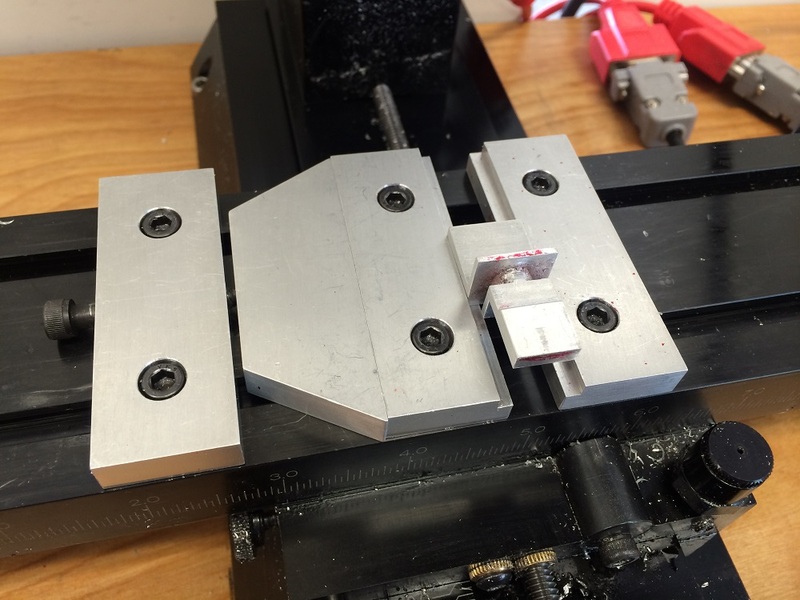 I used a 1/16″ endmill to SLOWLY mill out a 1/8″ x 1/16″ relief slot for debris and rough edges. Those little endmills break very easily. Afterwards I brush-finish sanded it all to a dull luster to help hide the scratches that I knew would be forthcoming. To keep the adjustment screw from damaging the aluminum I drill a slightly undersized 3/16″ hole 1/8″ deep at it’s contact point on the spacer bar. I pressed a 3/16″ hardened stainless steel ball bearing into the hole and left it protruding by 1/16 of an inch. This give a durable press-point for the adjustment screw to press against.